"I just told him to do whatever is best for him." 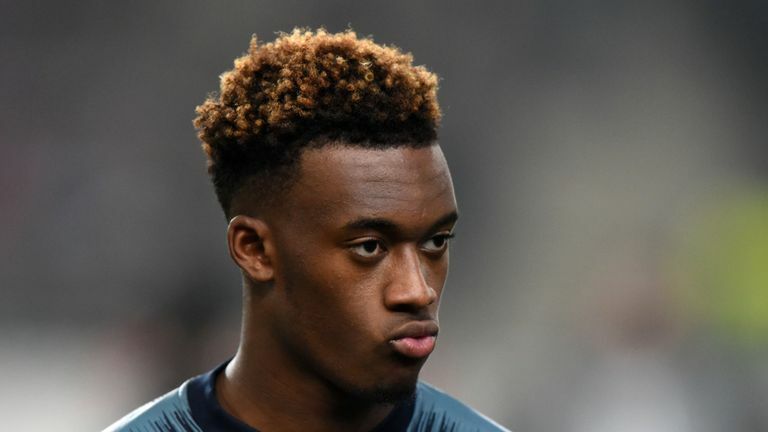 Borussia Dortmund and England winger Jadon Sancho has given advice to Callum Hudson-Odoi over a potential move from Chelsea to Bayern Munich. Sancho, 18, has been a revelation in the Bundesliga, scoring six goals and assisting seven for Dortmund, following his surprise move from Manchester City in 2017. Arsenal loanee Reiss Nelson, who grew up with Sancho, has since flourished at German club Hoffenheim. "Me and Callum are close friends," said Sancho, speaking from Dortmund's winter training camp in Marbella. "We've played with each other at England. "He's the next one I would say. He's very good, very talented, fast and good dribbling skills. "I have told him the Bundesliga is a nice league. I just told him to do whatever is best for him and whatever makes him feel comfortable." He's the next one I would say. Sancho's breakthrough has helped steer Dortmund to the top of the Bundesliga, ahead of rivals Bayern Munich. He signed a contract extension at the club last year which will keep him there until 2022. "We can achieve a lot with our squad," he added. "Our main goal is to win the league, that's everyone's goal in the team. "We're just taking it game by game but hopefully we can achieve it."